Advance Institute of Hotel Management and Catering Technology is promoted by Hotel Professionals with 20 Years of experience in leading hotels. Our other services include educational institute, training and placement at reputed hotels. Our other services are operating and renovating hotels and also setting up new hotel projects. The institute is well equipped with experienced faculty. 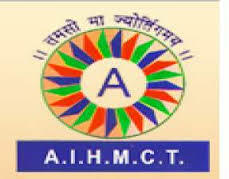 Advance Institute of Hotel Management and Catering Technology AIHMCT, Nagpur offers various graduate courses as well as Post Graduate courses. List of facilities available at Advance Institute of Hotel Management and Catering Technology AIHMCT, Nagpur for students.